Ronald D. Solberg’s infatuation with America’s traveling salesmen is apparent in this his second book about the “knights and ladies of the road.” In perhaps the most comprehensive and entertaining treasury of salesman lore ever published, The Soulful Salesman provides us with the best of the best of salesman humor, advice and stories. Readers will be inspired by his“Soulful Salesman” -- one who epitomizes that “sensitive, eloquent, moving, profound, meaningful, and heartfelt concern for his/her clients and customers.” (Seems like a prescription for any field and endeavor.) The book’s message is the timeless advice and council of nearly 200 different figures. The book also features dozens of stories, anecdotes, jokes, riddles, definitions, and one-liners, spanning more than two centuries of Americana. Solberg includes personal essays that tap into his personal experience with salespeople who have influenced him. 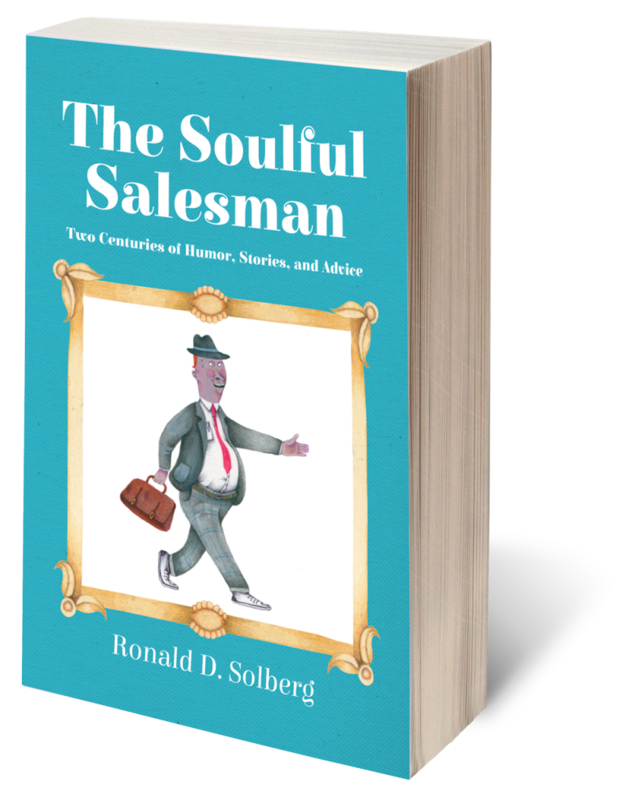 Solberg’s “Soulful Salesman” represents the universal everyman and everywoman who worked our ways and byways and is a record of what these, the most successful of all time, said and did to make the sale. Solberg trusts their stories and advice may help readers make their own sales, whatever, wherever, and whenever they may be.